Join the tens of thousands of people who challenge themselves every year to the fastest growing distance race in the country – the half marathon. Even better, make it the nationally recognized Madison Mini-Marathon, ranked #14 of the best 27 half-marathons in the U.S. by Runner’s World Magazine! We welcome those who are also training for another summer half-marathon, or are working toward a fall full marathon. We recommend you be able to run 3 miles 2-3x/week prior to the start of half marathon training. This is to ensure you run healthy and stay injury free. Goal Race: BMO Harris Madison Mini-Marathon on August 16, 2014. 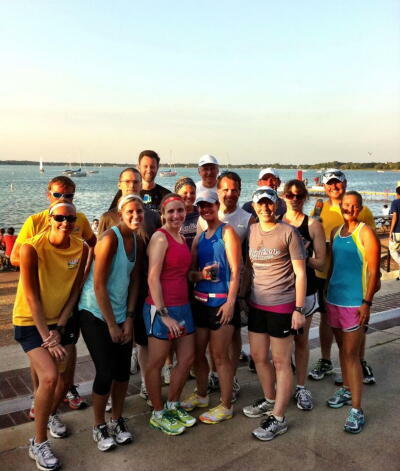 Organized group workouts with mapped courses – including portions of the race course. A supportive environment for all athletic abilities that builds lasting camaraderie and friendships!